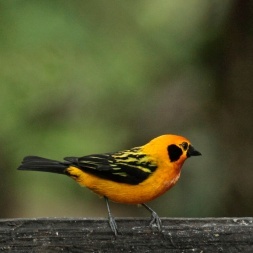 Nangaritza is a unique ecosystem, home to the charismatic spectacled bear and the rare orange-throated tanager, among thousands of other species, and connects some of the largest blocks of intact forest that remain in southern Ecuador. The lush foothill rainforests of the Nangaritza Valley protect the last remaining extensive band of forest connecting the Andes mountains around Ecuador’s Podocarpus National Park with the Amazon in Peru. Most other Amazonian foothill forests to the north have been destroyed by deforestation or degraded by cattle grazing. Nowhere else in Ecuador is there a corridor of forests that connect the high Andes to the remarkable Cordillera del Cóndor mountain range and the Amazon rainforest beyond. The Nangaritza Valley is home to charismatic species such as the spectacled bear, mountain tapir and ocelot. This region around Podocarpus National Park has an astonishing 600 bird species, including 60 species of hummingbirds, 80 different tanagers, and many endemic species found only in these mountains. The region has one of the highest concentrations of endangered plants in the world, and over 40% of the park’s 3,500 plant species are endemic to this area. Tragically, these forests are highly endangered. A new road is being cut through the valley, causing an increase in illegal logging and deforestation. As the road pushes further into the forest it provides greater access to the rich resources of this unique ecosystem. Uncontrolled mining threatens to pollute local waterways and accelerate deforestation, putting Nangaritza’s beautiful landscapes and extraordinary biodiversity at great risk. We are collaborating with the government and local communities to create protected areas and develop sustainable industries. Our main allies in this quest are the indigenous Shuar communities that have lived in the Nangaritza Valley for generations. We helped the Shuar join Ecuador’s innovative Socio Bosque program to obtain annual payments in return for protecting their forests for 20 years. Another example is the Tepuyes Reserve, where a Shuar and mestizo community designated a 5,000 acre municipal reserve. We are also actively purchasing land in the cloud forests of Nangaritza to create a protected corridor between the Andes mountains and Amazon lowlands. 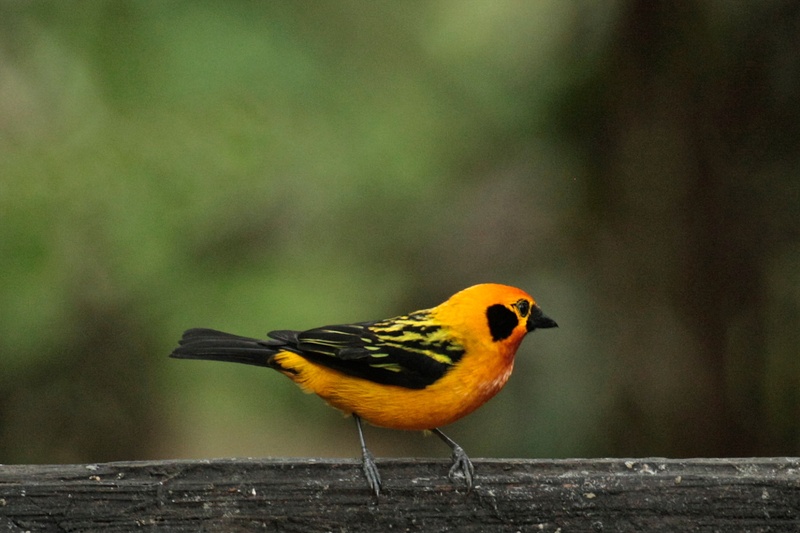 Through the help of World Land Trust and generous donors, we have established the 2,250 acre Maycú Reserve that protects the rare orange-throated tanager’s only habitat in Ecuador. We also established the 2,552 acre Numbala Reserve – home to one of the last stands of giant podocarpus trees in the world. Most recently, we supported the declaration of Zamora Chinchipe Provincial Reserve in southern Ecuador. 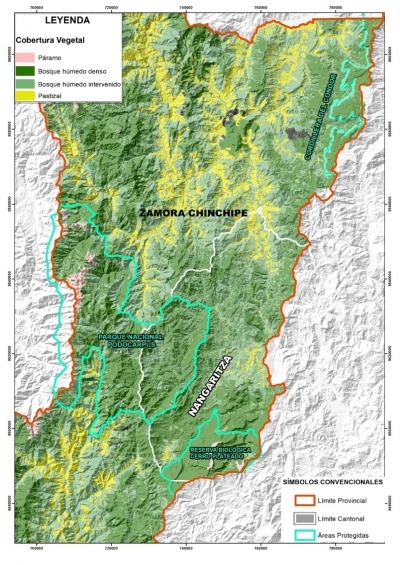 Zamora Chinchipe will protect 1,098,611 acres of forest, shrub and grasslands in a region threatened by rapid deforestation and burgeoning mining concessions, safeguarding wildlife and clean water for nearby communities. We continue to work with the national government to design and implement policies and actions such as increased forest patrols to reduce illegal logging and mining and other causes of deforestation.